Most people have something. Whether it's digestive issues, or acne problems, or any type of chronic pain. There's always something. There's very few people that I know of who aren't dealing with some type of issue in their body. My issue, has pretty much always been neck and shoulder pain. I remember being a young teenager, and my mom always going for massages because she also had some neck problems too. I asked her once if I could go with her because I was in pain and I wanted to try it. So she took me to her massage therapist, a wonderful lady name Lesley. How incredible it felt to finally get those knots worked out! Over the past ten or so years I've seen Lesley intermittently whenever I was feeling a lot of pain, particularly after working a lot at any of my part time jobs, or attending a birth (bending over a bathtub doing the double hip squeeze for hours on end is not kind to the body). For my last birthday my stepdad gave me a spa gift card to use. It took me about 5 months to finally use it, but boy am I glad I did. I had never been to a spa before! There was a sauna to use beforehand, and cucumber water, and warm robes, and the whole experience just felt very posh indeed. The massage therapist was wonderful (though no one ever quite compares to Lesley!). Massage really helps with my neck & shoulder pain, and it so relaxing and lovely, but sometimes it doesn't feel quite enough. Like it doesn't necessarily fix an underlying problem. Lately I've been feeling like something in my neck was...off. I felt misaligned, and crooked, and feeling lots of pain more often the last few months. A girl I work with was telling me all about chiropractic and how much she loves it. In fact, lots of people I asked love it. I'm not ruling it out entirely, but there is something about it that sort of frightens me. Like our bodies are not meant to be cranked so forcefully like that, especially our necks. So I asked my trustworthy mom (because moms know everything...and she's had both done before), and she suggested I try an osteopath and just see if that helps. Now I've known about osteopathy for a long time. My parents used to go to someone for it and they found that it helped with their aches & pains. I never really understood what it was though, and to be honest I'm still not 100% sure. Osteopathy is a form of drug-free non-invasive manual medicine that focuses on total body health by treating and strengthening the musculoskeletal framework, including the joints, muscles and spine. Its aim is to positively affect the body’s nervous, circulatory and lymphatic systems. This type of therapy is a non-invasive and holistic (whole body) approach to health care. 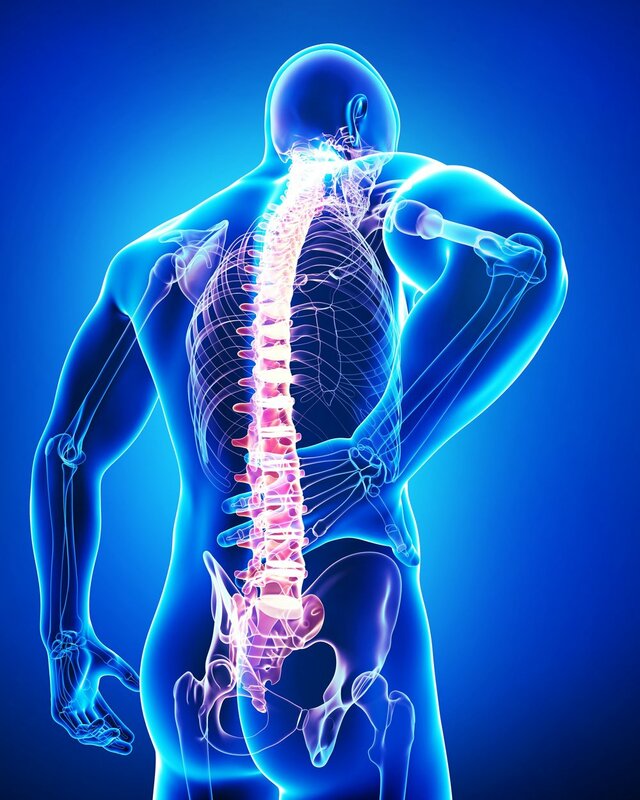 Osteopaths do not simply concentrate on treating the problem area, but use manual techniques to balance ALL the systems of the body, to provide overall good health and wellbeing. Much like massage therapists, osteopaths use a broad range of gentle hands-on techniques including soft tissue stretching, deep tactile pressure, and mobilization or manipulation of joints, and can ease the pain caused by joint and muscle stiffness, by improving joint mobility and the flow of blood to the joints, and show arthritis sufferers how to prevent causing injury to themselves. Worth a shot! So I went. Yesterday I had an appointment with a lovely woman named Cebby. We talked about any past injuries I have (falling down stairs, whiplash from being rear-ended). She assessed my spine/posture, and had me lie down on my belly first as she gently manipulated different areas of my body. When I turned over she did the same on the front of my body. She then spent a long while focusing on my neck and head. It was slightly uncomfortable, & difficult at times, and afterwards I had a headache that lasted for a few hours. Better than good actually, I felt great. I noticed that I had more range of motion in turning side to side. And I didn't feel that dull throbbing at the base of my head which usually causes me headaches. And then last night, I had a very good, hard crying session. I was reading that after osteo it's possible to have a release of emotional tension. Emotions get trapped in areas of our bodies that store a lot of tension. Either emotions from when we injured that area, or just general life stress. But crying felt good. I woke up this morning feeling rested, and not stiff or like I had strained my neck in my sleep! Cebby had told me that I have a muscle imbalance in my neck, and that the right side was particularly bad. Not uncommon in people with long, slender necks apparently. She said that the muscles felt wound very tight and had been that way for a while. She gave me an exercise to do to strengthen the deep muscles. It's actually pretty hard for me to do which just goes to show that I do not have strong neck muscles. I notice that when I work out, I feel better. Which yeah, pretty obvious. If you feel good doing something, keep doing it! I am going to make my neck, and the rest of my body stronger, and get rid of this pain once and for all. I think I am already, and finally, on the right track. Have any of you ever been to an osteopath? What were your experiences like?